Bet-A- Hoof has been formulated to assist with the maintenance of horses feet. Bet A Hoof contains all essential ingredients, which promote hoof growth therefore improving the condition and strength of the hoof. 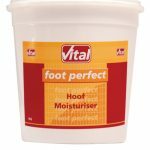 Ideal for weak, brittle or damaged hoofs. 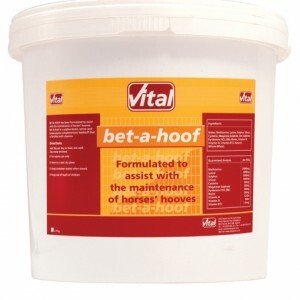 Bet-A-Hoof is a sulphurbiotin, amino acid equine complementary feedstuff that is fortified with vitamins.